Brian F. Conley is the owner and President of Conley Real Estate Appraisals, Inc. a full service real estate appraisal office, located in Terre Haute, IN serving west central Indiana. Brian started in the real estate brokerage and appraisal business with his father upon graduation from Indiana State University in 1976. 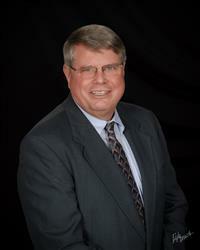 He is a General Certified Appraiser in Indiana, and is an Indiana licensed real estate broker. Brian specializes in all types of commercial, small industrial, easement valuations for road and sewer improvements and farm real estate appraisals. Brian also does FHA residential appraisals. Until his appointment to the Indiana Real Estate Appraiser Licensure and Certification Board on August 14, 2001 through October 2006, Brian served on the Indiana Real Estate Commission representing Indiana’s 7th Congressional District since May of 1991. Brian has served the Terre Haute Area Association of Realtors in all their offices including President. In 1985 and in 2003 Brian was named Realtor of the Year. Brian currently serves as the immediate past president of the Terre Haute Area Association of REALTORS Multiple Listing Service. Brian currently teaches a class on market valuation to introductory members of the Terre Haute Area Association of REALTORS and other continuing education classes for appraisers. Brian is an active member and Vice Chairman of the Terre Haute Redevelopment Commission, served on the Terre Haute City Council from 1988 – 1995, served on the Vigo County Area Plan Commission and was the first president of the Terre Haute Urban Enterprise Zone Association. Brian is also on the Terre Haute Street Tree Advisory Board as a city council appointment. Please call Brian for all of your real estate appraisal needs.